Sidebars can be managed by going to Settings. Once the page loads, click on Sidebars. From the Sidebars page, click the ‘Add Sidebar’ button. When the page loads choose the type of sidebar and enter other details about the sidebar. 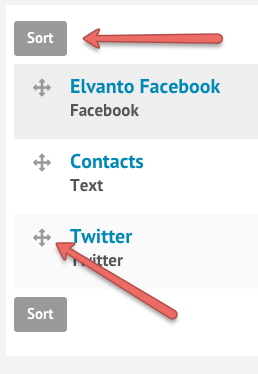 Once you have added a sidebar, you can then edit the content based on the sidebar type. A text sidebar allows you to add in a block of text to your sidebar. When adding a Twitter sidebar, you will be asked to authorize to show tweets in Tithe.ly ChMS using your account. Follow the prompts to authorize. Once authorized, you will return to the Tithe.ly ChMS page which you may customize the number of Tweets to show. 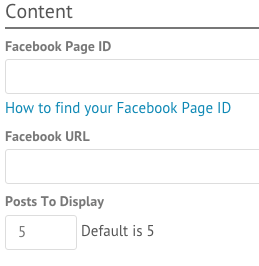 Enter in the Facebook Page ID, Facebook URL and how many posts you’d like to display. From the Sidebars page, simply click on the ‘Sort’ button above the list of sidebars. Then click and drag the drag icon to the left of a sidebar to change the order you want your sidebars to appear.